Youngstown State University students welcome the spring semester with new year’s resolutions to improve their mental and physical health. 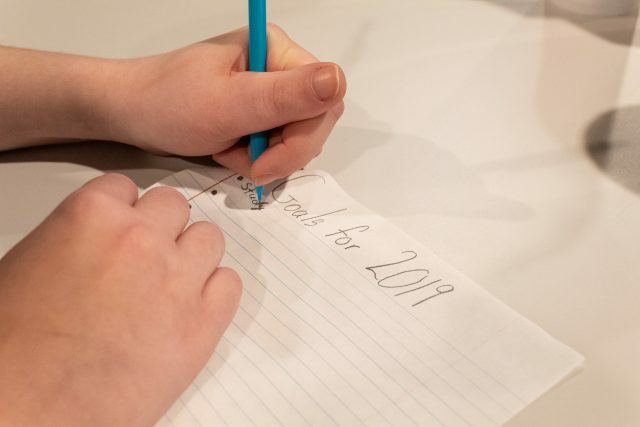 Hannah Titus, a senior psychology major, said the new year is a time for her to reevaluate where she is, how far she has come and what goals she would like to reach. Titus said it is not always easy to find the motivation to practice her resolution, but life moves forward even when she is not prepared. “There are many other ways to practice self-compassion, but a conscious decision has to be made daily to want that mentally healthier path,” Titus added. Throughout her college career, she has found it challenging to balance her resolutions and the work involved with her major. However, she believes a challenge can be a great opportunity to learn and grow. Along with mental health, improving physical health is another common resolution for YSU students. Lindsey Bechter, a junior dietetics major and Wellness Resource Center supervisor, said the increase of people at Andrews Student Recreation and Wellness Center is evident during the new year. However, since Bechter began working at the recreation center in 2017, she has noticed the slow decline of patrons as past new years have progressed due to lack of motivation. Bechter said it may feel impossible to balance a busy schedule and a workout routine at times, but there are ways to incorporate fitness into daily activities. Stephanie DeMain, a senior exercise science major and a recreation center supervisor, said there are many services the recreation center offers to help students reach their goals. DeMain said the new user orientation is being revamped, but if students have questions about machines or exercises, recreation center staff is knowledgeable and available to assist. Students can meet personal trainers at their table in the recreation center from Jan. 14 through 16. A list of more upcoming events can be found on the YSU recreation center’s website.